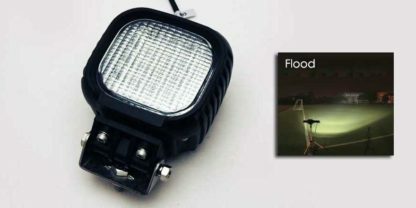 Heavy duty outdoor 48W 4.5 Inch LED flood Work light Square with high-powered Cree LED chip. 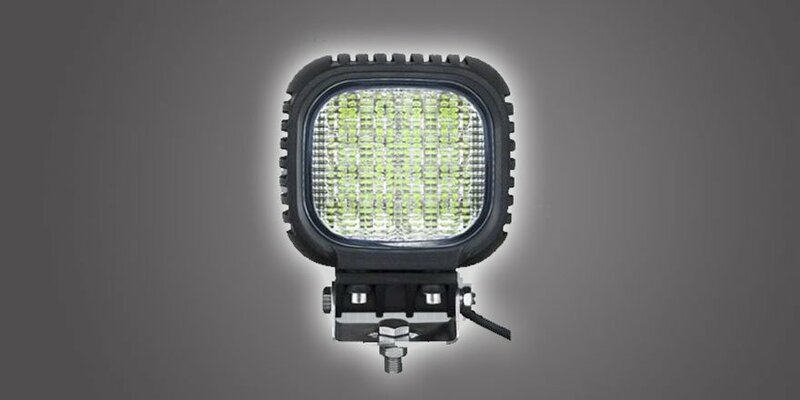 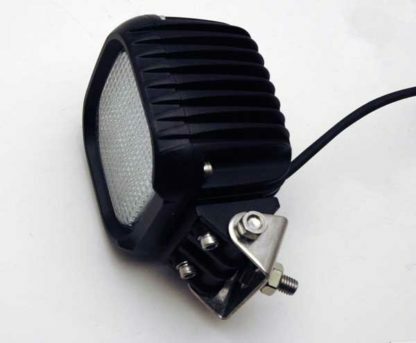 LED works are ideal for use on tractors, work trucks, excavators, forestry, mining and more. 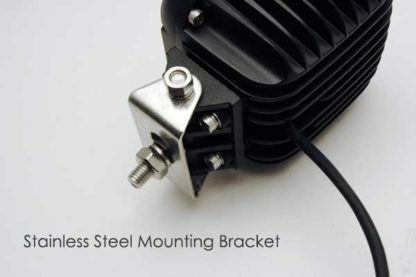 Easy to install with an adjustable stainless steel angle mounting bracket. 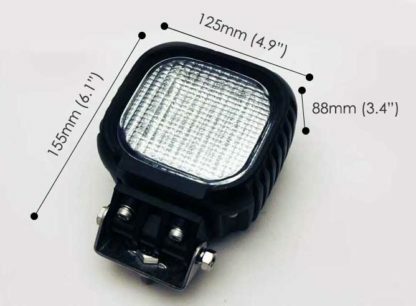 Housing is made from aluminum alloy, electrostatic coated, thermostatic harden, IP 67 waterproof and shock resistant with integral heat sink and an internal driver to protect the LEDs for a long life span LED light. 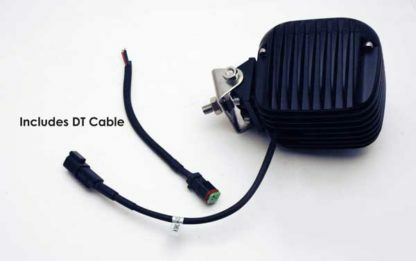 Operates within a wide voltage range of 12-30V DC.